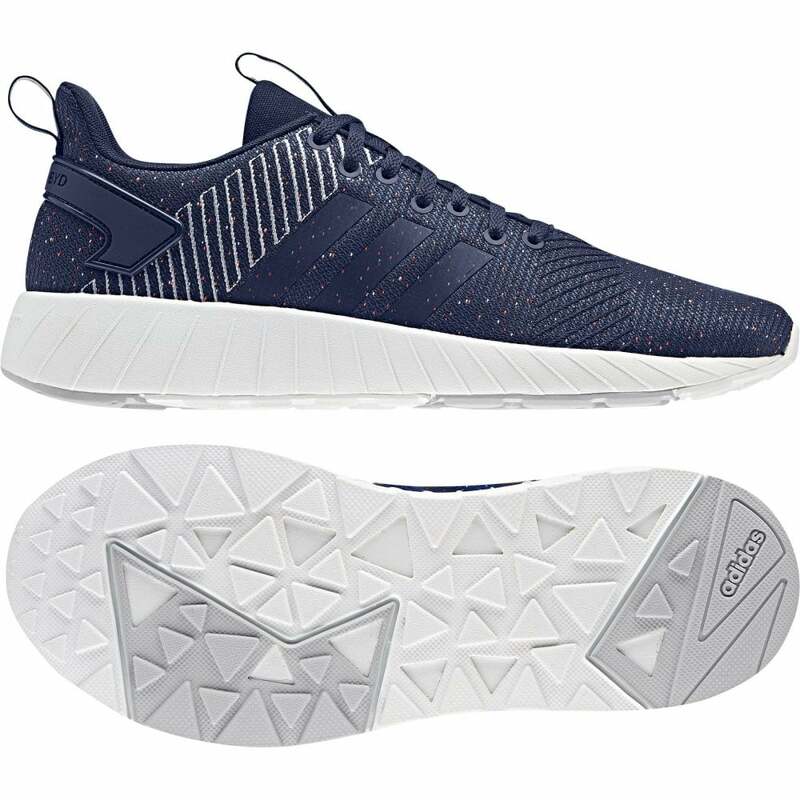 These ADIDAS Questar BYD Trainers have a textile mesh upper and are navy in colour. They have a TPU heel clip and stitching detail around the toe. They have a padded, textile lining and a footbed with built-in Ortholite technology. ADIDAS branding is found on the tongue and heel and there are ADIDAS 3 Stripes on the sides in black. The sole is white and has CloudFoam cushioning and a textured tread for excellent grip.